Hey its sarah again just read down yeah when i recieved my 3220 the back cover was snapped and when i asked for a replacement they just said sorry ul have to send the whole lot back including sim card and get a new fone which would ov meant a new number. Iv also had the problem where i can onli have 20 pic due tothe 4mb of memory and it has lockled up on me when the memory was full. The 3220 is a nice fone but too much of a toy. 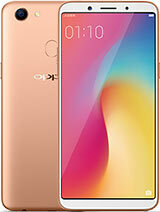 Hi i bought this phone in november... i now no longer have it the orange website stated that it had infrared also the guid book it comes with said it have infrared rang orange up they told me it had infrared i then later found out it doesnt have it. Its an amazing phone but with only 4mb of memory and no bluetooth or infrared how do u get your data off the fone without having to pay to send them to an email or buying a cable??? the photo quality is rly good and evn tho iv onli had it 4 months its more like a toy than a phone i will miss having it but a relative has got the siemans cx65 and tis pretty good but im not looking forward to getting my motorola flip phone. This is a very nice phone, but has some severe problems. (Limitations like the absence of blueTooth etc aside); The phone can hold maybe 20-25 or so images max. Thereafter you get a message that goes something like "memory full, delete from gallery to continue". Another problem sometimes, is that when the memory becomes too full, the phone freezes up and may in some instances even shut down completely. I don't know if this is a software problem or or a problem related to the lack of memory. I suspect it is a combination of both. what is the light mssage? I got one for Xmas as well. It is a great phone. You can use a data cable instead of bluetooth. The only thing is there needs to be more support/recognition of it all over the web. I have to search for 3200 to get anything for it! I think this phone rox, its the best phone ver launched by nokia, cheap, efficient and beautiful, and in comparisson to the 3560 its not a huge bulge in your pocket, congrats nokia for this excelent product! wkd phone nothing on the market today can beat it its amazeing definatly worth thhe buy its a must have it does everything a phone should do and more!!!!!!! softwere fault is if u download more then 4 videos and have more then 5mms stored phone will lock up u carnt switch it off being take battery out quick be carefull on how much u store on phone it likes to lock itself which again u have to take battery out and delete stuff in the memory if u use wap a lot again after 15mins it freezes itself still if you like to be funky and grovy its the phone 4 you! This phone is fyne, stop ur F***** whining!!! If you dawnt lyk, dont buy, if you do buy and it breaks...then RUBBA DUCK :D! First of all Nokia 3220 has 20 call missed 20 recieved etc.! and an other thing where can i find a data cable or a fun cover? Shortly it has a stanby from 2 to 4 days with conversation!It is a very relaible phone, mine for one took a bath and after i've cleand it everything was ok! phone good. lights good. sounds and games good..... cheese good. Hey...get this...its a great fone...but somehow...i cant access the Gallery and the dealer says i have too many pics...i have bout 15 on the basic setting...thats dumb...i know that a 7250i holds like 200 or so pics...why is this full at 25 or so pics? the design is great but is the software faulty? Shud i just get a 7250i like i was goin to? I got the 3220 last week. It was the 2nd 3220 I received in 1 week because the back cover on the 1st on I received didn't firmly snap into place. However, the 2nd one I received has the same problem. Is this common??? If so, pretty cheap phone! Features are okay and signal is pretty decent. But I wouldn't spend $269.00 CAD for it. nokia 3220 is so kool! i think its a cool looking phone but its hasnt bluetooth or infrared i mean its not something that people really need i mean a phone was made for making calls and sending txts so i too agree with Mike and Phil if ya dont wanna buy dont buy it no point complaining about something that will have nothing to do with you. Thumbs UP for Phil & Mike!! You're right boyz!! i TOTALLY agree with you man :) it's just dumb to be complaining. it's a frigging mobile phone for god sake ! if you wanna enlighten another potential buyer just say wht's good and bad and shut ya gap. just stop whinning. it's sickening.